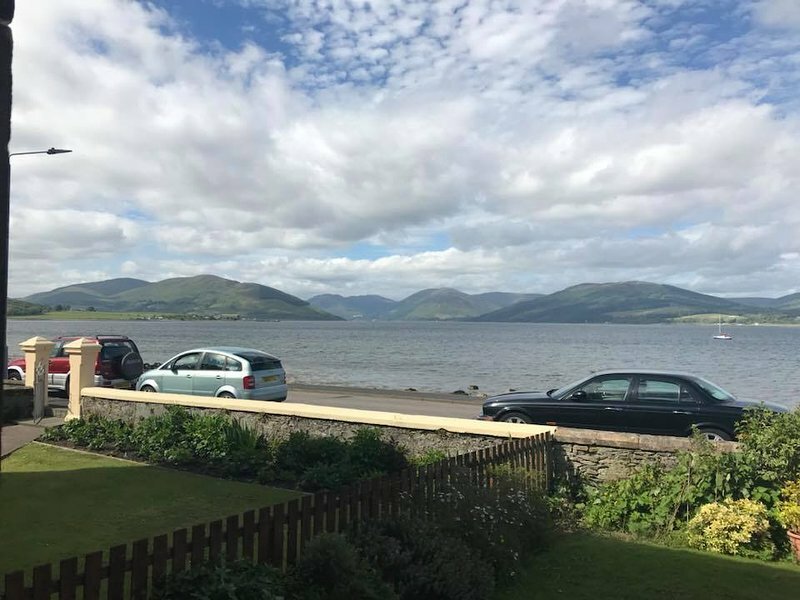 Quiet residentional area with stunning views of Loch Striven and the Cowal Hills. 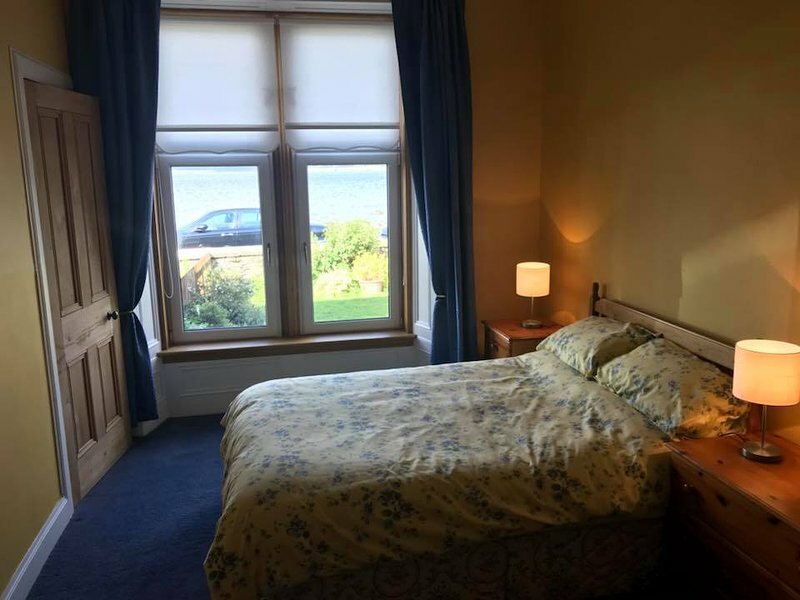 The property is a ten minute drive from the main ferry terminal.The main bus route is 150 metres away with a regular half hourly bus service to and from Rothesay Town Centre. There is an American Diner a 2 minute walk along the shorefront which serves good food and is family friendly. Port Bannatyne Village is a 10 minutes walk or 2 minutes drive in a car where there is a Post Office with coffee shop. There are 2 local pubs 1 which serves food and has a beer garden. This is also family friendly. There is a small general store 5 minutes walk away. The main bus route is 150 metres away. 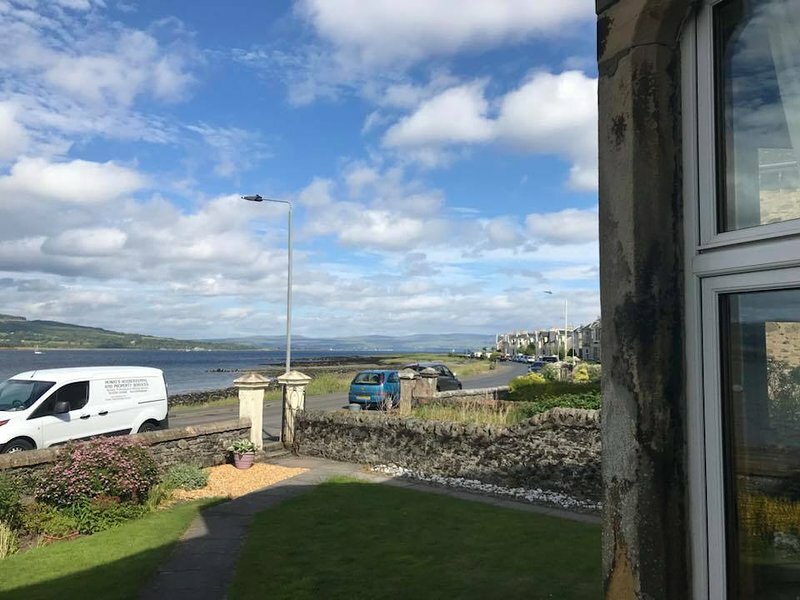 There is a regular bus sevice every half hour from Port Bannatyne to Rothesay Town Centre where the main Ferry Terminal is situated.